The Android Nougat preview build for Nexus devices comes packed to the brim with new functionality: multi-window mode, a dark theme, and a data-saver toggle, just to name a few. 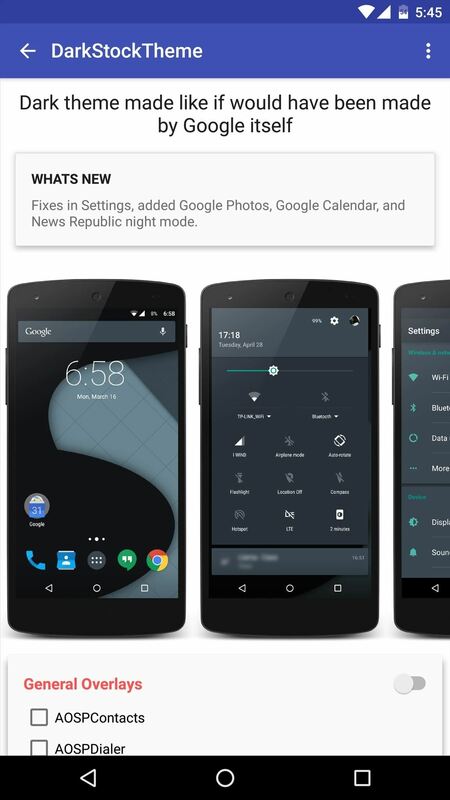 However, unless you have a Nexus device, it will be a while before you get these exciting new features by default. Most OEMs insist on skinning Android (as well as having to play to the whims of carriers), so it's unlikely that your phone or tablet will see this update for at least another year. But that doesn't mean you can't enjoy some Android Nougat features right now—with a collection of apps, root mods, and tweaks, most of the cool new functionality from Android Nougat can be brought to almost any Android device. One of the biggest user-facing changes in Android Nougat is a new multi-window mode that allows for easier multitasking. 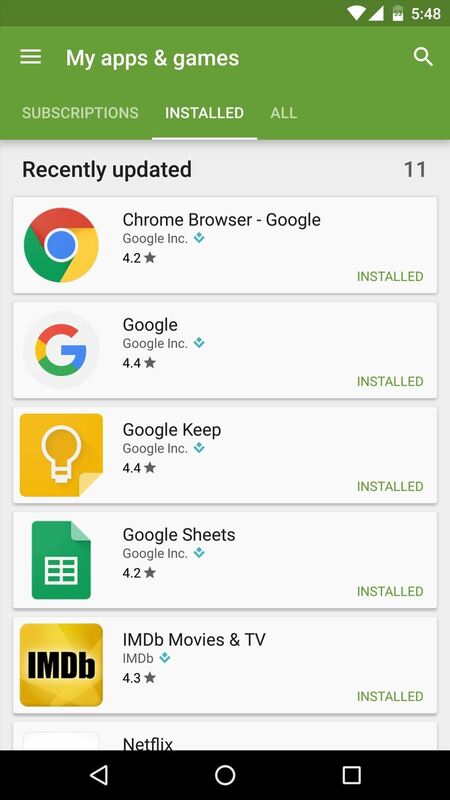 Luckily, though, Google has been working on this feature for a while now, so bits and pieces of it are already built in to older Android versions. If you have a rooted device, and it's currently running Android Marshmallow, all it takes is a simple build.prop edit to enable an earlier version of this same multi-window mode. I've covered this process in detail with its own tutorial, so head to the link below if you're interested. Alternatively, if your device is running an older version of Android, an Xposed module called XMultiWindow can give you the same functionality. Of course, you'll need to have the Xposed Framework installed to use this one, but beyond that, the set-up process is as simple as installing the module, then activating and rebooting. 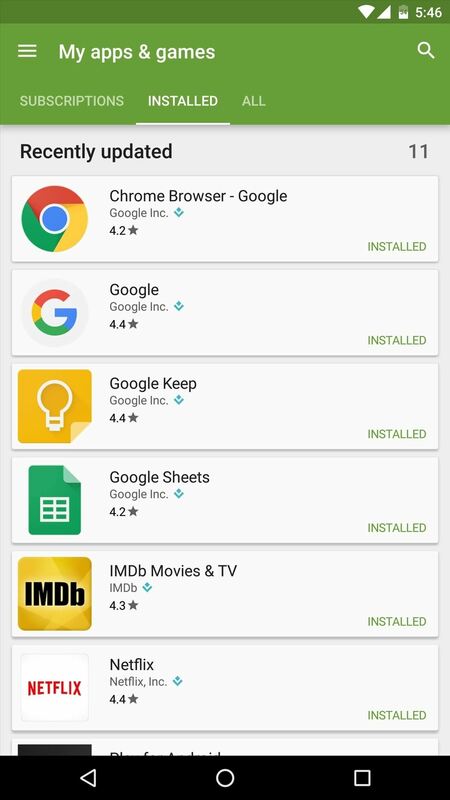 Another new feature in Android Nougat allows you to double-tap the "Recent apps" button to quickly flip back and forth between the two most recently-used apps. It's a lot like Alt-Tab switching in Windows, and if you ask me, it's a feature that should have been included with Android from the start. For devices running older versions of Android, an Xposed module called GravityBox is all you need to replicate this feature. Once you've got the module installed, start by enabling the master switch in the "Navigation bar tweaks" menu, then head to the "Navigation keys actions" menu. 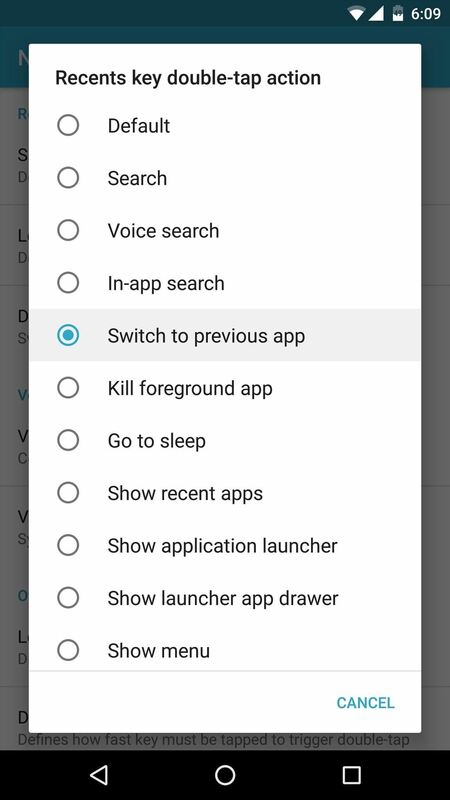 From here, scroll down to the Recents key section, then set the "Double-tap action" entry to "Switch to previous app," and you'll be all set. 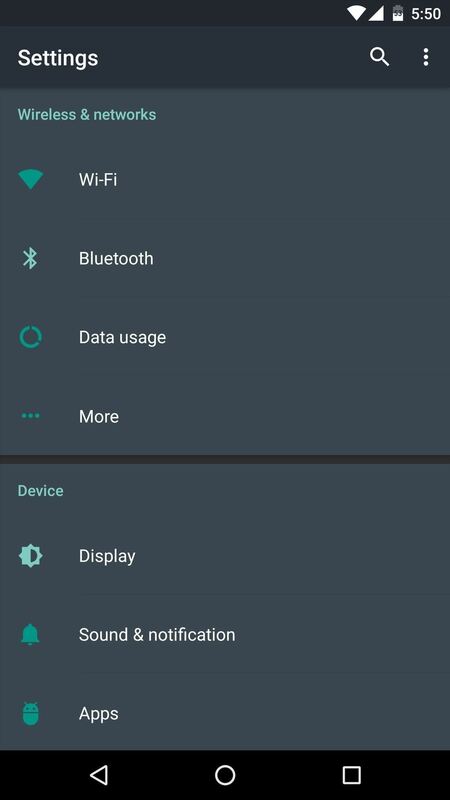 The notification shade in Android Nougat is completely revamped, and one of the biggest changes is that you can now access your most common Quick Settings toggles without having to swipe down twice. 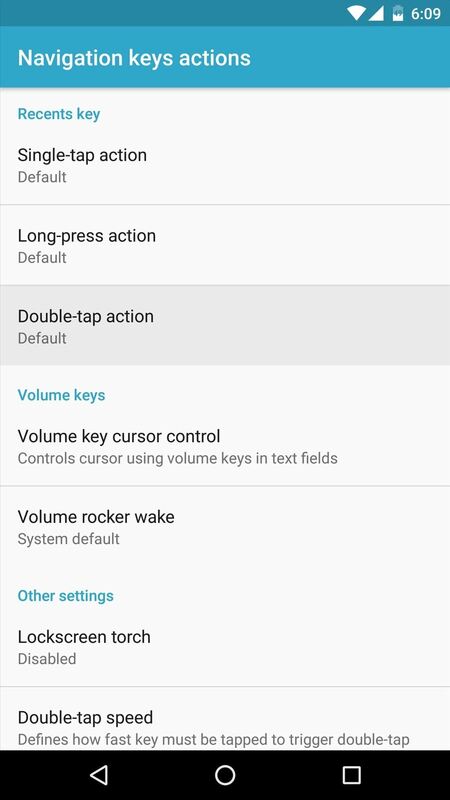 This is a feature that skinned versions of Android such as Samsung's TouchWiz have had for a while now, and it makes it incredibly easy to toggle common system settings on or off. While you can't exactly integrate these toggles directly into the notification tray header like with Android Nougat, you can replicate this functionality almost perfectly using an app called Power Toggles. 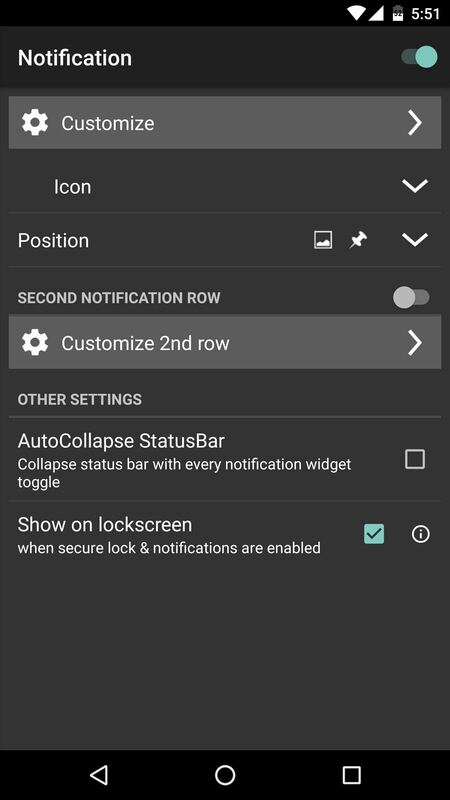 Once you've got the app installed, simply enable the "Notification" option, and from now on, you'll be able to toggle system settings directly from your notification tray. Android Nougat has a new "Night mode" theme that darkens the look of the system settings menu, as well as a few other interfaces. 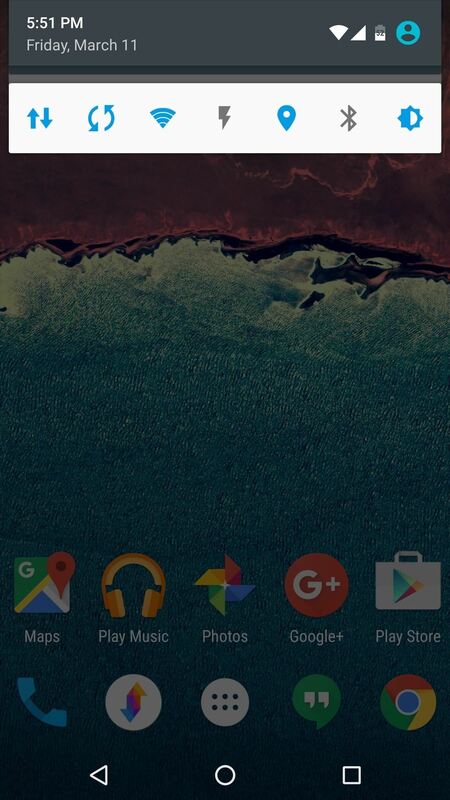 If your device is running AOSP-based firmware with either Lollipop or Marshmallow at its core (Like stock Android, Cyanogen, and others), a simple root app called Layers can activate the hidden theme engine in these Android versions, and ultimately allow you to emulate this new Night mode feature. 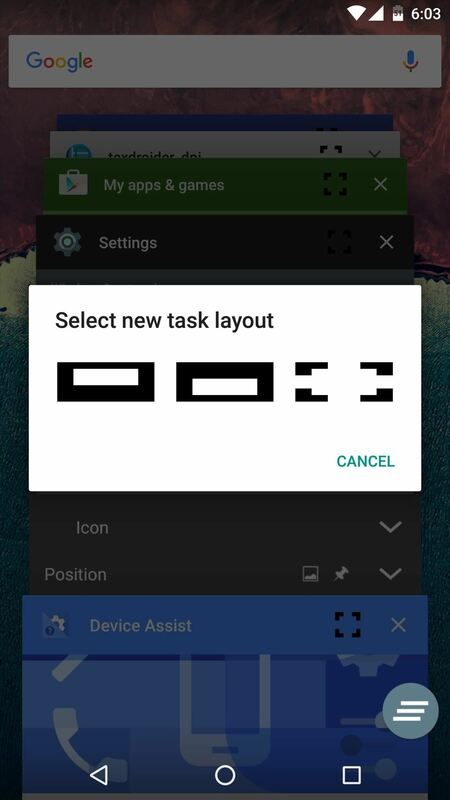 Once you've got the base Layers app installed and set up, there are several Layers themes that can be installed and applied to darken the look of Android's interface. One theme that almost perfectly replicates Android Nougat's Night Mode is called DarkStockTheme, and it can be purchased for $1.20 if you'd like to get an authentic Android Nougat look. Another aspect to Android Nougat's Night mode is that it can apply a blue-cancelling filter to your screen, which allegedly helps prevent your display from disrupting your circadian rhythm. This effect can be achieved in one of two ways—either by installing the root app CF.Lumen, or by installing a non-root app called Twilight. In Android Nougat's Display settings menu, there's a new "Display size" option that lets you adjust the size of on-screen elements. This is different than the previous "Font size" setting in that it also tweaks the size of buttons, icons, and virtually every visual aspect of all your apps. Deep down inside, this new option is really just adjusting your device's DPI, which is something power users have been doing for a while now. So if you'd like to tweak the scale of on-screen elements, the easiest method would be to use a root app called Texdroider to adjust your device's DPI value—just enter a bigger number to increase the size of elements, or enter a smaller number to shrink everything down a bit. A subtle, yet useful addition to Android Nougat's settings menu is a new "Suggested settings" section at the top of the list that shows you options that may not be configured properly. 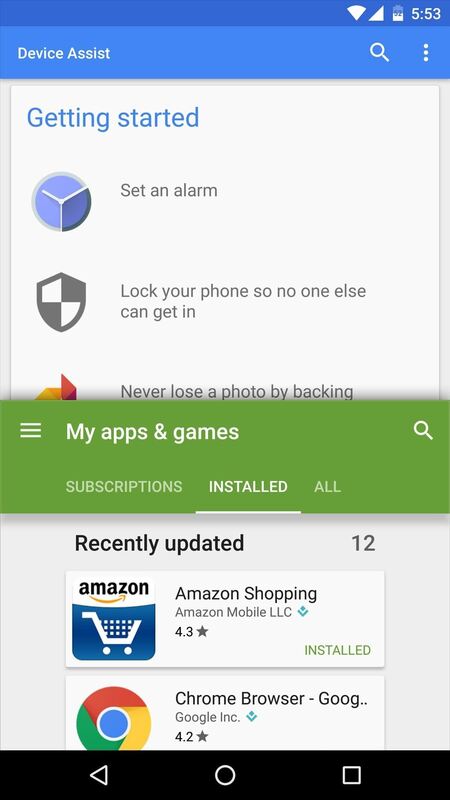 For instance, if you haven't set up a pattern, PIN, or password for your device, the first option in Android's main settings menu will give you a quick link to address this issue and secure your device. 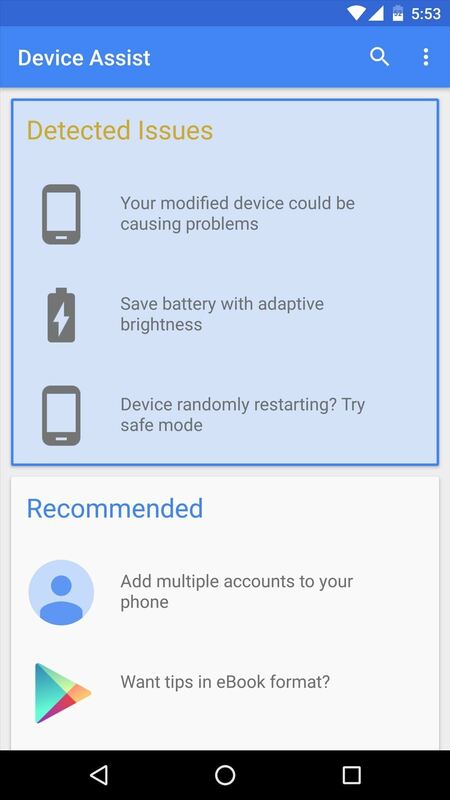 While it's not possible to add these Suggested settings directly to Android's main settings menu on older versions, the base functionality can be replicated using Google's Device Assist app. Once installed, the app will scan your device and present improperly configured settings as "Detected Issues," where you can then simply tap an entry to address it. 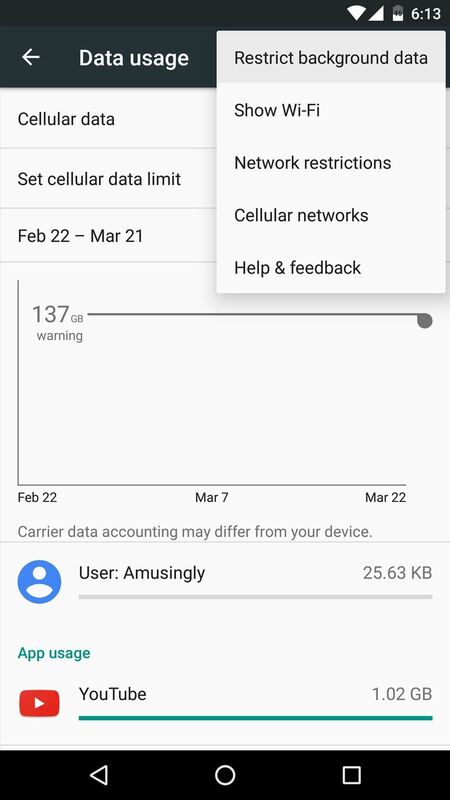 Finally, a new Data saver toggle in Android Nougat will let you prevent apps from using mobile data in the background, which can save you from costly overage fees. 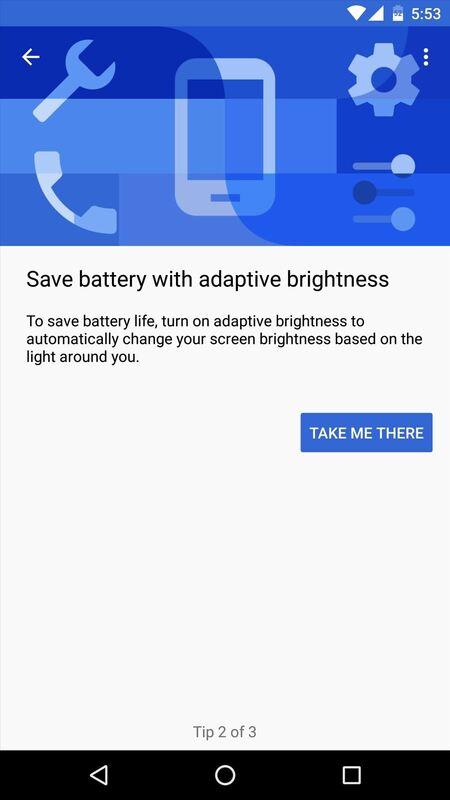 While no such toggle exists in previous Android versions, the Data saver feature itself has been around since Lollipop, just going by a different name. 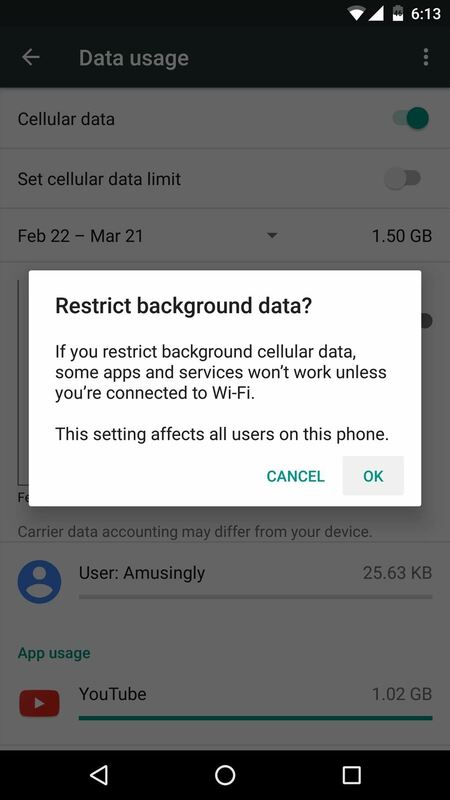 If you'd like to activate this feature, head to the Data usage menu in Settings, then tap the menu button at the top of the screen and choose "Restrict background data." From here, press "OK" on the popup, and from now on, apps will not use mobile data in the background unless they absolutely need it. If you've found any other ways to emulate Android Nougat features on older Android versions, we'd love to hear about it in the comments section below. How do I get the always on feature of Samsung s7? That's using some hardware features in the S7, otherwise it would drain excessive amounts of battery and cause screen burn issues. So it wouldn't be a good idea to try that on a different device without the necessary hardware, but for a similar effect, you can try AcDisplay. Thanks for providing this info,it's extremely useful for me.I was searching for this information for a long time but there are very limited resources.